CNC wood cutting — Lean Machine Metal Fabrication Inc. Although lean machine regularly cuts metal, we are also more than capable of cutting wood, plastics, and composites! 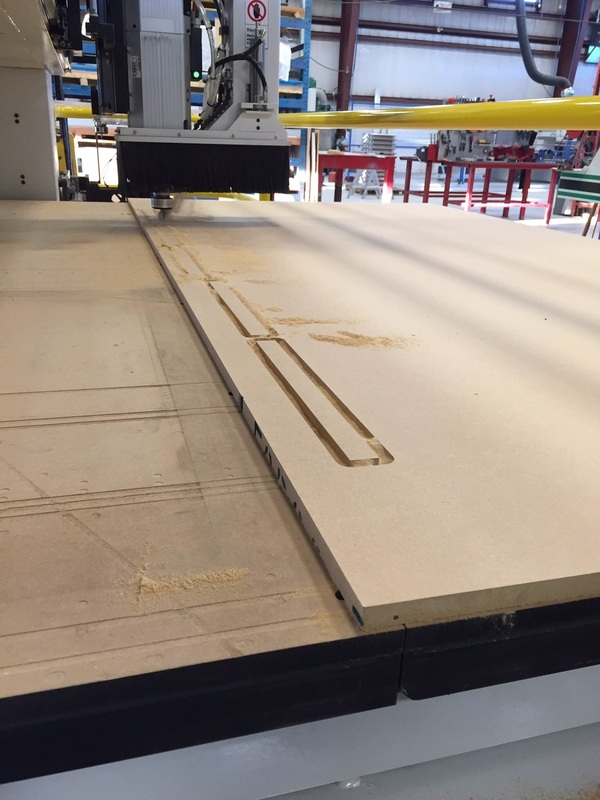 3/4" MDF being cut on one of our CNC routers for a local kitchen cabinet making shop. Stacks of consistent and accurate parts on a pallet ready to ship. Notice each one has a label with the part number, thickness, and dimensions.